MAYPORT, Fla. - More than 42,000 Coast Guard members remain on active duty, some of whom are working in our area, and none are getting paid due to the government shutdown. 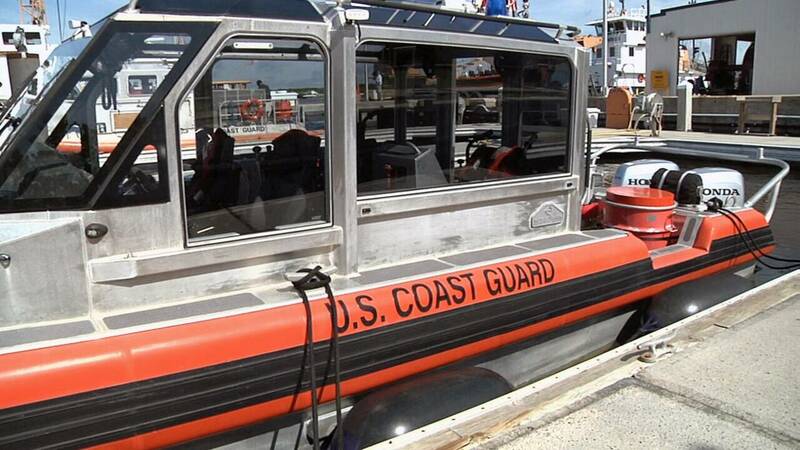 The U.S. Coast Guard is the only military branch working without pay during the government shutdown. Active-duty members got a one-time payment on Dec. 31, 2018, but their next payday, which would fall on Jan. 15, is still in limbo, leaving tens of thousands of military families fearing for their finances. A woman whose husband has been with the Coast Guard for nearly 20 years said the past few weeks have been financially challenging with five kids, two dogs and a mortgage payment. Melissa Waywell describes the last few weeks as a financial roller coaster as her husband continues to work without pay. He’s a chief petty officer in the Coast Guard, working out of the Cecil Field Unit. She said in 12 years, through multiple government shutdowns, he’s never missed a paycheck, but that's changed. "The security net that we usually feel just, I think, it’s really disappeared for a lot of families this shutdown and go-around and my family is included this time," Waywell said. "We don’t know if the Coast Guard is going to be funded, we don’t know if Homeland Security is going to be funded, if one or the other or part or none, and families are still freaking out." As tens of thousands of Coast Guard members continue working to keep our waters safe, boaters are thankful. "I think it’s awesome that they still stay out here and know that I can be safe out here," boater Johnny Ziegler said. That message has been echoed several times by boaters. Tomorrow marks the 16th day since the shutdown began. As of now, there still seems to be no end in sight.